This must-have resource provides a framework to help you understand important questions in this rapidly-evolving area of law. 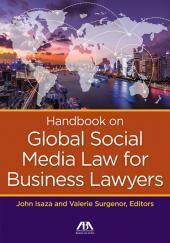 It covers the impact of various laws on social media, such as copyright and communications, to aid the creation of social media policies. 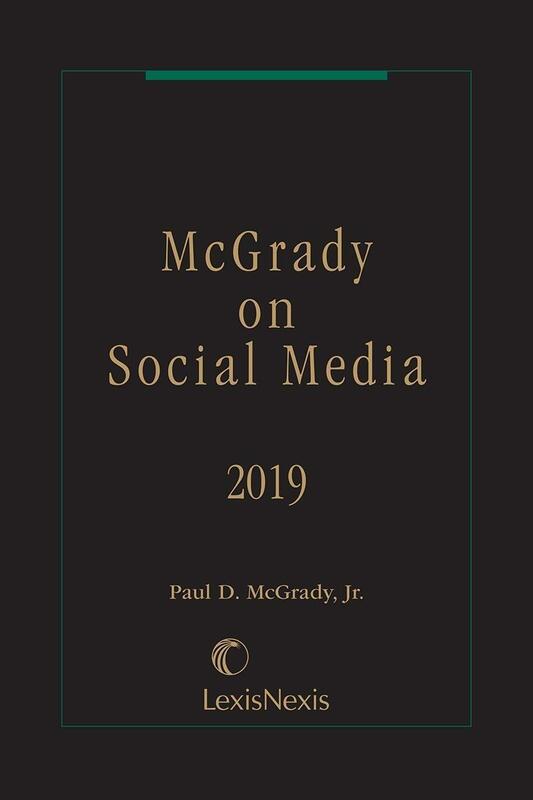 Designed to provide an appreciation for the various issues raised by social media, this publication presents practical insight into the specific ways that certain platforms address those issues. The fairly broad scope of issues and platforms will serve as a starting point for research and also for the "quick answers" to recurring questions raised by clients. 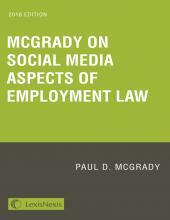 McGrady offers more expertise on the laws of the web in McGrady on Domain Names . Mr. McGrady works with clients in the adoption, prosecution, licensing, and enforcement of trademarks in the United States and throughout the world. Mr. McGrady represents large brand owners, including new gTLD registries, in their domain name and ICANN matters as well as brand-friendly registrars. Mr. McGrady served a critical role in the strategy and negotiations which led to ICANN's adoption of "Specification 13" in which ICANN finally recognized the unique role and responsibilities of .brand registries. His experience includes domain name disputes, domain name transactions, the creation of new top-level domain names, CAN-SPAM disputes, Computer Fraud & Abuse Act disputes, online copyright and brand identity disputes, and transactions and counseling related to intellectual property aspects of social/mobile media. Mr. McGrady has successfully handled more than 500 proceedings under the Uniform Domain Dispute Resolution Procedure (UDRP). Mr. McGrady has also handled multiple litigations brought under the Anti-Cybersquatting Consumer Protection Act (ACPA) and successful actions under foreign domain name dispute policies. Mr. McGrady is active with the International Trademark Association (INTA). He has been appointed as vice-chair of the Internet Committee for the upcoming 2016-17 term. Prior to that he served as chair of the Internet Committee's Online Trademark Use sub-committee for the 2014-2015 term and sub-committee chair for the Internet Governance Sub-Committee (2012-2014). He is also a member of the 2016 INTA Annual Meeting team. Mr. McGrady is a former member of INTA's Program's Board, previous co-chair of the 2012 INTA Leadership Meeting, a former programs board liaison for the 2009 Annual Meeting, team leader for the U.S. Programming for the Annual Meetings in 2008 and 2016, co-chair of the trademark administrator's conference, team member of the Trademark Administrator's Conference, and team member of the Trademarks Basics Conference. Mr. McGrady is an active member of the Intellectual Property Constituency of ICANN. He serves as one of the two IPC GNSO Councilors. Paul D. McGrady is a partner in Winston & Strawn's Chicago office and chair of the firm's Trademark, Domain Names, and Brand Enforcement Practice. 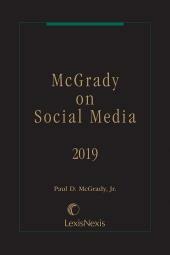 Mr. McGrady is the author of McGrady on Domain Names, the three-volume definitive treatise on domain name law, which is published by LexisNexis as well as McGrady on Social Media, which is also published by LexisNexis. He has taught Advanced Trademarks and Cyberlaw at DePaul Law School.